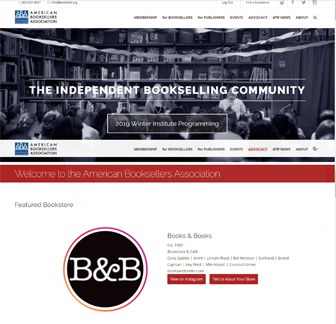 “There’s so much to IndieCommerce that training programs like the institute can help booksellers get to the next level and more fully utilize the site’s capabilities,” said Eileen McGervey of One More Page Books. In the October 25 webinar, booksellers will learn how to implement the guiding principles of digital accessibility by reviewing and decoding the federal Web Content Accessibility Guidelines. In a new ABA webinar on Americans With Disabilities Act website compliance, booksellers will learn how to apply federal Web Content Accessibility Guidelines to their websites. “Our IndieCommerce website is something that, even if we didn’t have it for the year we were so generously given for free, we would have paid for anyway,” said The Book Catapult’s Seth Marko. When it comes to expanding their brand, some independent bookstores are looking to a rapidly growing media trend: podcasts. ABA Systems Administrator Josh Harding shares a few tips to help improve the stability of your computer and keep sensitive information safe. After extensive testing, IndieLite is now available to ABA members looking for a simpler, less expensive e-commerce solution. The February 27 edition of IndieCommunication for IndieCommerce stores features news about an easier way to upload and maintain large numbers of custom products as well as reminders about Google Analytics webinars and mobile-friendly themes. A recording of “Google Analytics for E-commerce,” a webinar reprise of the popular Winter Institute 12 session led by Max Thomas, is currently available on BookWeb and YouTube. All Wi12 attendees are encouraged to download the ABA Institutes app, which lets users see the full event program, create their own schedules, contact other users, and receive late-breaking news alerts from ABA. 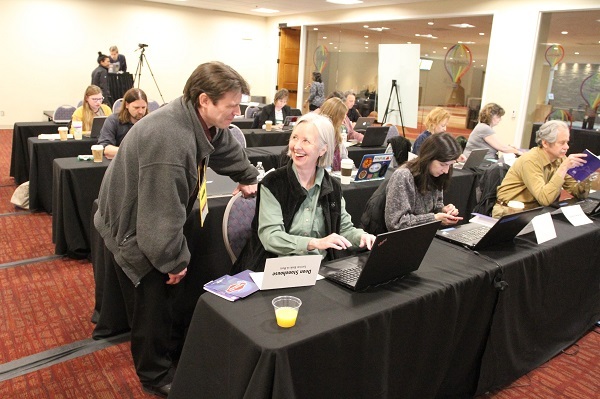 All Wi12 attendees are encouraged to download the ABA Institutes app, which allows users to see the full event program, create personal schedules, contact other participants, and more.